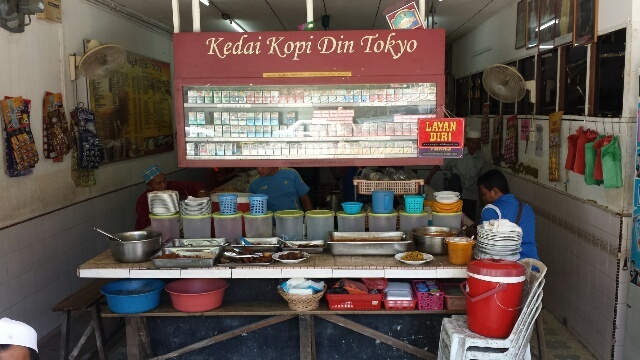 This traditional coffee shop in Kota Bharu has nothing to do with Japan. Feels like the kopitiams in Singapore with its old town ambiance and good local coffee but instead of tables and chairs it has two long wooden benches for communal use, a ‘kopi bar’. 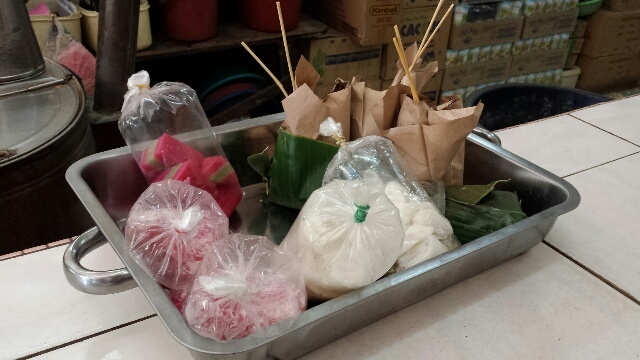 I’ll never forget the very hospitable proprietor who handed 5 ringgit to my 8 yr old daughter as spontaneous gift. 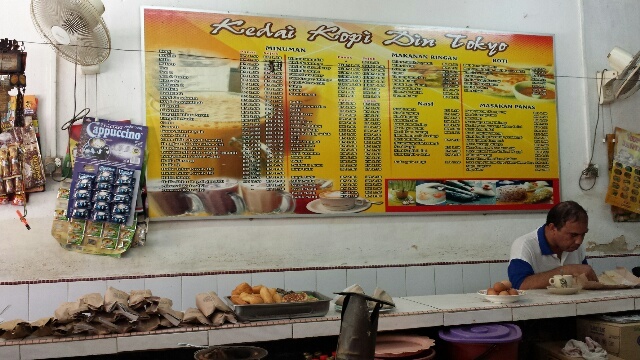 My total bill was I think 8 ringgit for 2 mugs of coffee and nasi berlauk. 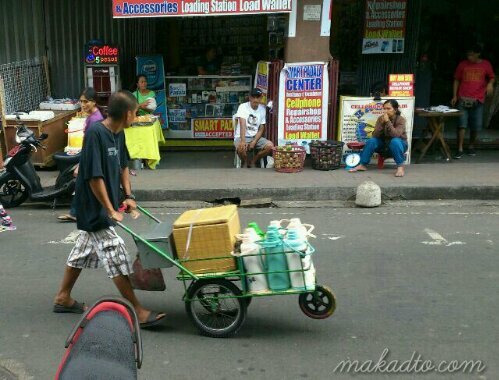 In Lipa City, I spotted this peddling guy with several jugs of hot brewed barako coffee and a chest containing local bread. He is a traveling coffee shop. As I observe him, I saw a customer handed a mug to be filled straight from the jug. It’s highly likely his regular customers do that. 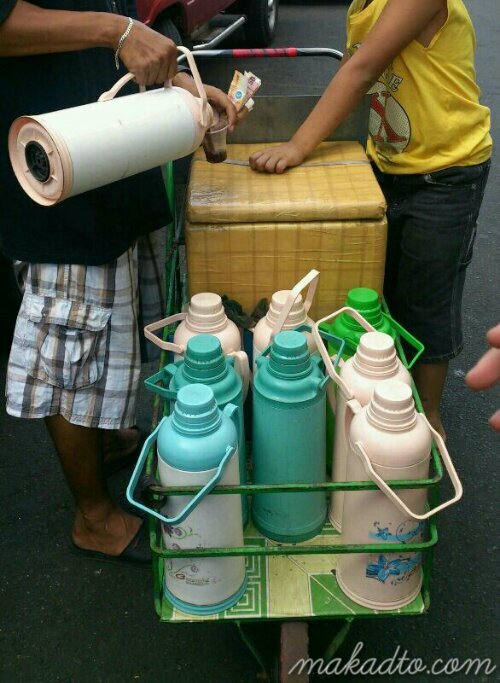 I wanted one but I don’t have reusable cup and so the barako guy poured my drink in a disposable plastic cup. 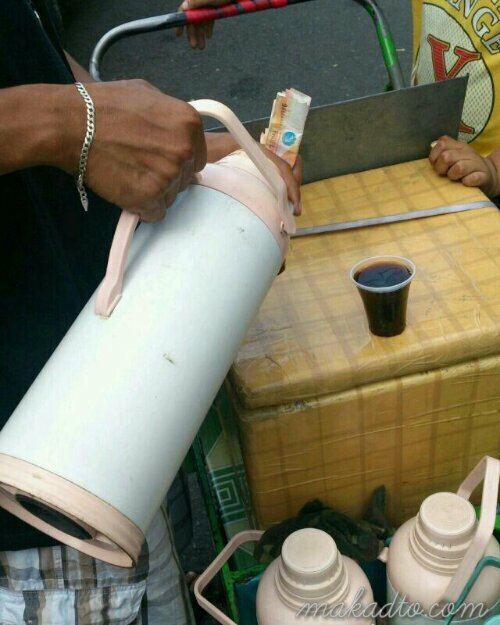 His coffee tasted simply of brewed barako sweetened with white sugar. A little bit sweet for me but I think it’s the general preference of his market. It was a good sweet hot barako brewed coffee and it calmed my ‘lomi stuffed’ tummy. 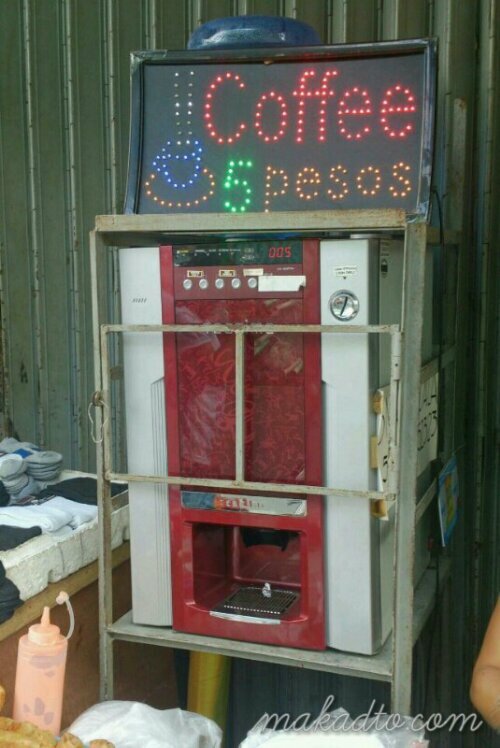 A small serving in plastic cup cost 5 pesos like those cheap coffee vendo machines that have proliferated all over the country and where some are even strategically placed beside a panaderia. I tried but never liked it and barako guy’s native coffee is far more superior than those sweet 3-in-1 like coffee of unknown origin that came from those five-buck machines.